Published: Jan. 13, 2019 at 04:43 p.m.
Los Angeles Chargers quarterback Philip Rivers finds tight end Antonio Gates for an 8-yard touchdown. 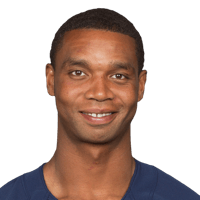 Published: Jan. 13, 2019 at 04:14 p.m.
Los Angeles Chargers quarterback Philip Rivers finds tight end Virgil Green for a 1-yard touchdown. Published: Jan. 13, 2019 at 03:34 p.m.
Los Angeles Chargers running back Melvin Gordon rushes for a 1-yard touchdown. Published: Jan. 13, 2019 at 01:36 p.m.
Los Angeles Chargers quarterback Philip Rivers goes deep to wide receiver Keenan Allen for a 43-yard touchdown.